LIMITED PICTURE DISC VINYL PRESSING. 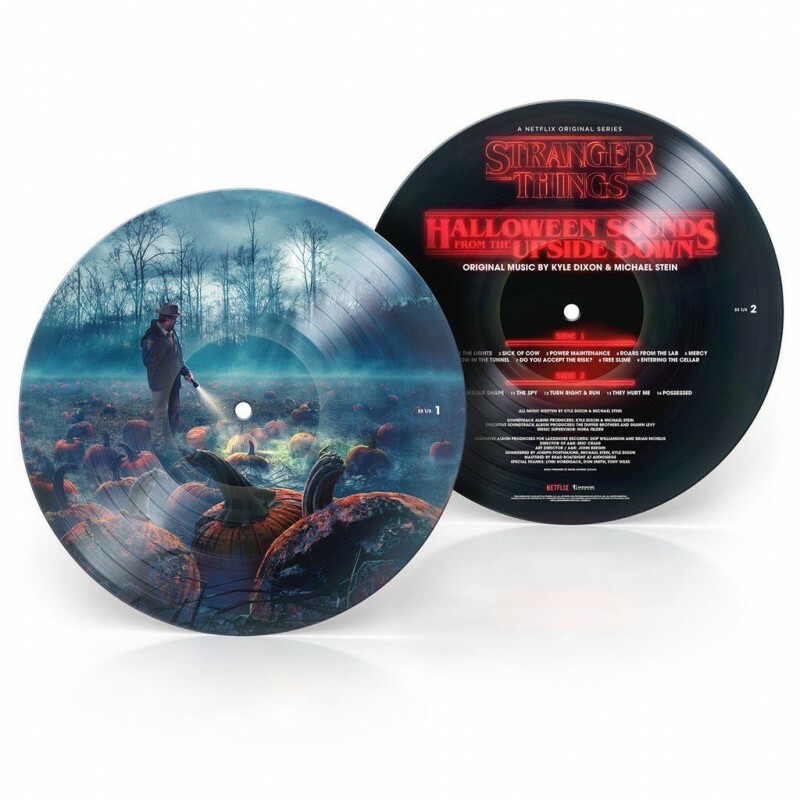 The first ever Stranger Things picture disc release! Stranger Things composers and electronic veterans Kyle Dixon & Michael Stein return with Stranger Things: Halloween Sounds From the Upside Down. Featuring 14 original unreleased tracks from the series specifically curated to be as creepy and atmospheric as possible. Total electronic '80s nostalgia with just enough of a modern twist to produce something unique and unforgettable. Will appeal to fans of Stranger Things OST, Drive OST, John Carpenter, Black Mirror, Power Glove and more.